When it comes to taking the LSAT, how do you plan on conquering it? A key requirement to gain entry into law school is getting a good score on the LSAT. There are definitely other factors that come into play when it comes to your law school application, but the LSAT is definitely important! 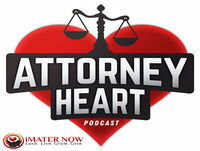 On the next episode of Attorney Heart I had the privilege of interviewing Steve Schwartz, a long-time LSAT coach. For those seriously considering and deciding to get into law school, Steve has a truly powerful story of how he raised his score from the low 150s to a 175 on LSAT game day! Steve and I get into a lot of powerful strategies and Steve shares the challenges he had to overcome during his LSAT journey. Steve Schwartz has been a professional LSAT coach since 2005 and is well known for his LSAT Blog and LSAT Unplugged Podcast. For those considering going to law school, definitely tune-in to learn key mindset, health, and other practical tools that will help you succeed on the LSAT.